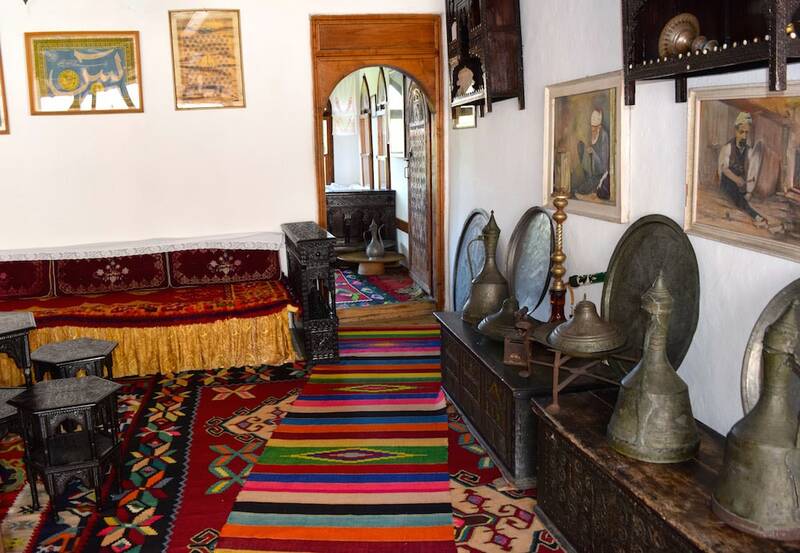 The Dubrovnik to Mostar day trip is one of the most popular tours you can take from Dubrovnik. 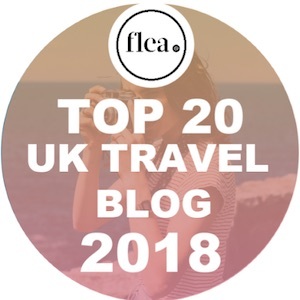 Find out what to expect in my review of the tour. I’ve written before about how easily photos influence my travel plans. Instagram is a dangerous place – full of bucket list inspiration! 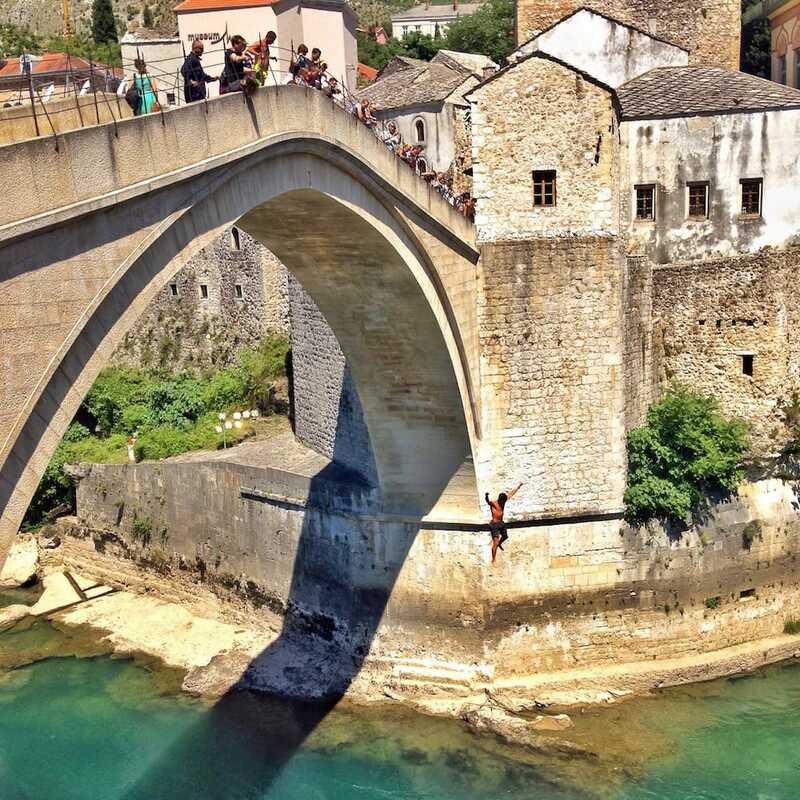 So when I came across a photo of Mostar’s stunning green river and beautiful old bridge, the first thing I did was check it wasn’t photoshopped. Image verified as real, the second thing I did was booked a trip to see it for myself. Nothing prepared me for the impact this trip would have. Once I saw beyond the beauty, I was left with a tragic tale of a former war zone. 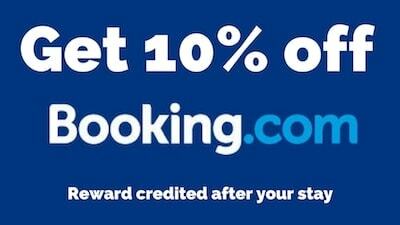 I booked the Dubrovnik to Mostar day trip with Viator. 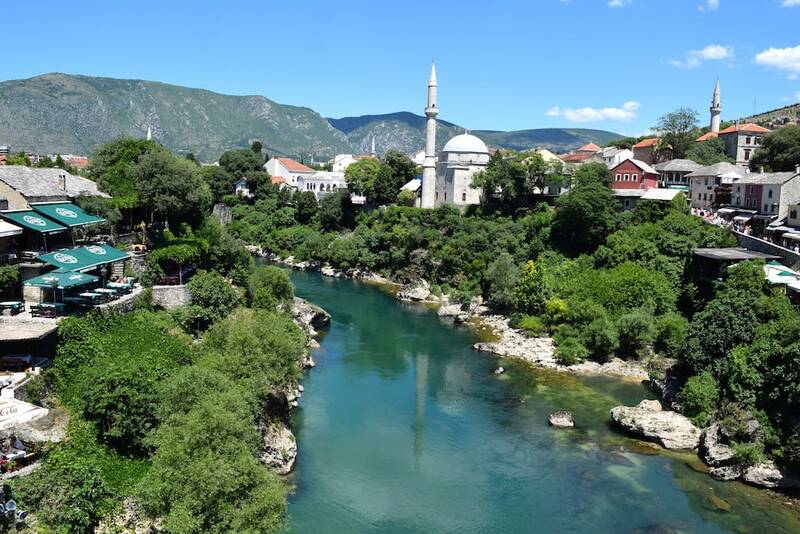 We made our way by coach towards the border of Bosnia and Herzegovina, then on to the country’s fifth largest city Mostar. 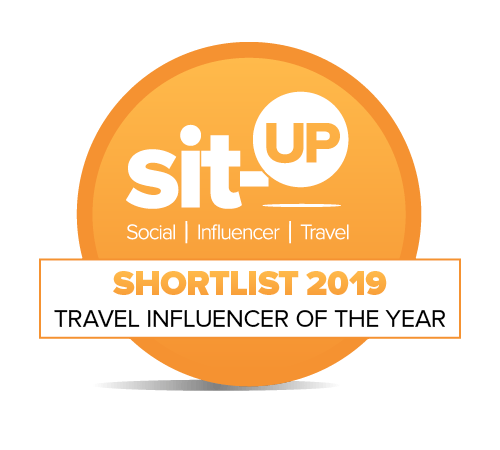 I was in the safe hands of tour guide Josef and barely noticed the two and a bit hours on the coach, distracted by views of tree-topped mountains, the picturesque Elefit Islands and of course, the turquoise waters of the Adriatic. 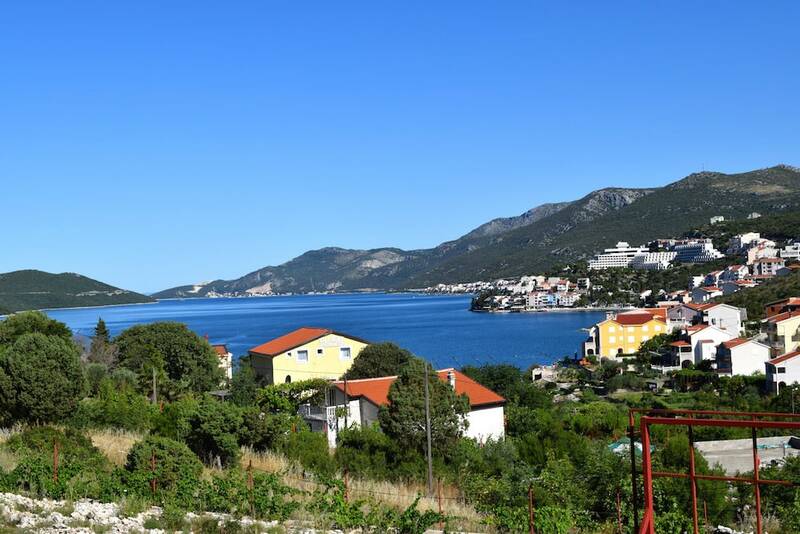 We were guided through key sights and stopped in the towns of Neum (known as the Monte Carlo of Bosnia) and Počitelj – a small cobble-stone village with a mosque, ancient fortress and a handful of art stalls. We learned about the first nudist hotel in Yugoslavia (in Slano), where all guests and staff were naked, but the director of the hotel wore a tie! Hvar, named one of the top 10 most beautiful islands in the world, was pointed out, and our guide seemed proud that Beyoncé was among last year’s visitors! It’s fair to say the drive into Mostar was a poignant one. While I knew the beauty of the famous old bridge awaited me, the first views were of buildings covered in bullet holes, which had remained derelict since the two wars between 1992-1995. Several large graveyards lined the route, speckled with white crosses and flowers. 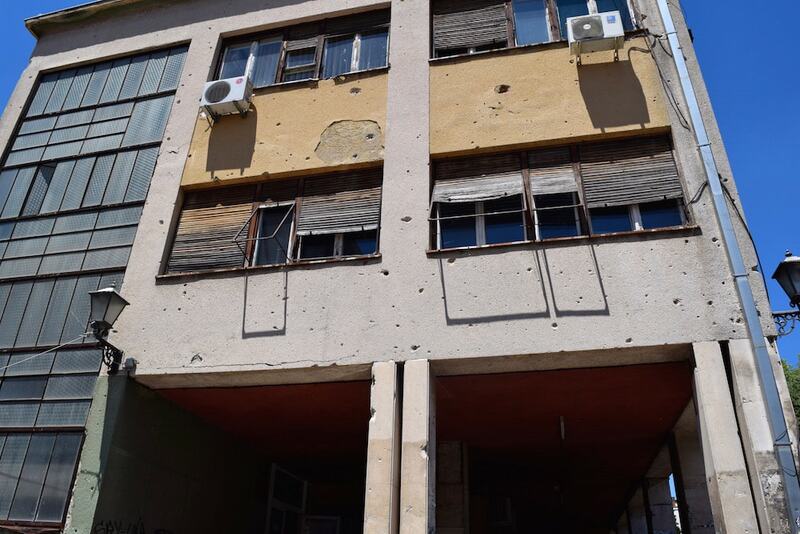 I was struck by the reality that I was entering a former war zone… and with that came a surge of emotion. On arrival in the city centre, local expert Adisa took over and guided us around key landmarks. 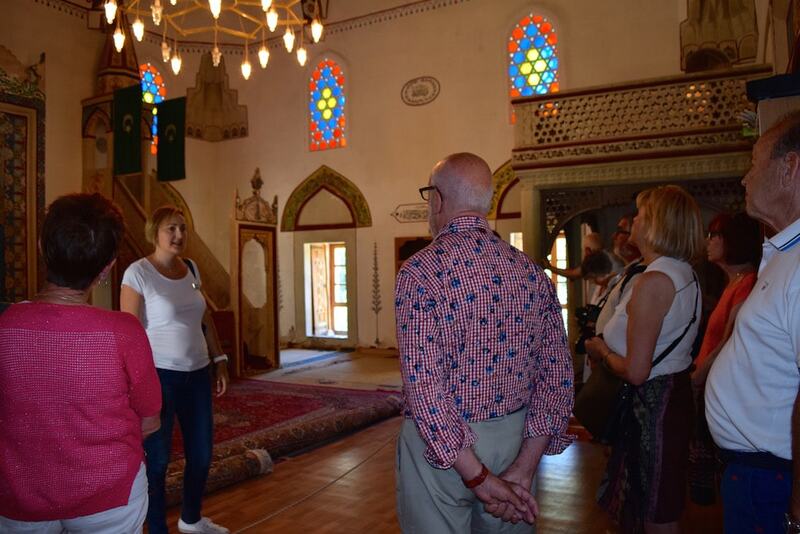 We visited the Francicsan Church with its huge tower, a traditional Turkish house dating back to 1653 and one of the town’s 27 mosques. 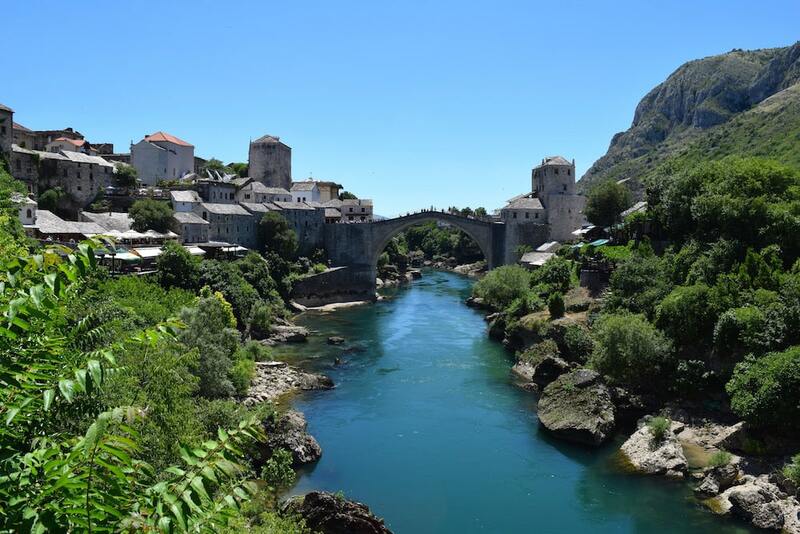 The view of UNESCO site Stari Most, also known as the old bridge was as perfect as the photos that had inspired the trip in the first place… absolutely breathtaking. 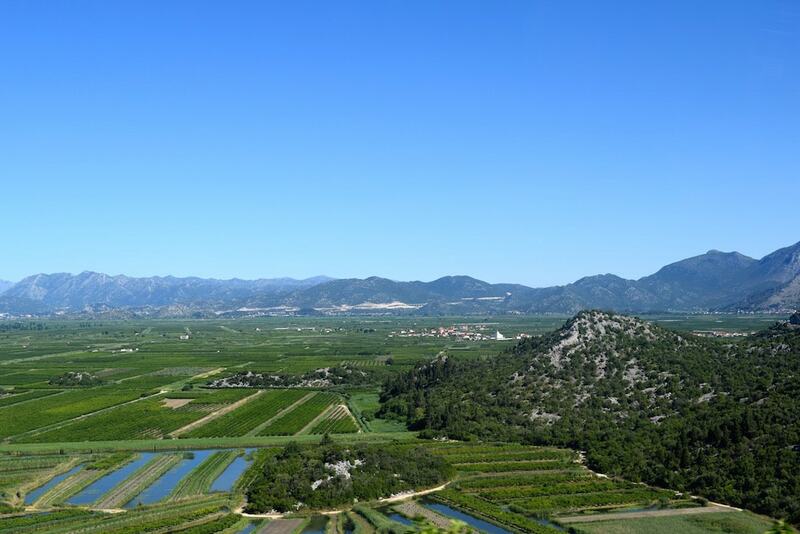 I marvelled at the green Neretva River and learned the colour comes from the high levels of copper in the region. The Old Bridge, originally built by the Ottomans in the 16th century, was as photogenic as I had hoped. Destroyed in November 1993, it had since been rebuilt and was now not only popular with tourists, but also with adrenaline junkies. Every year hundreds of people bravely dive off the top 24 metre height and plunge to depths of up to 6 metres. Some Speedo-clad professional bridge jumpers even make a living from it! Once their donation bag is full of coins, they’ll jump from the top, making it look very easy. It made for some excellent pictures, while I chose to relax at the top with a giant ice cream! The city is home to several restaurants and a local market selling everything from lamps and candles to jewellery and lavender. 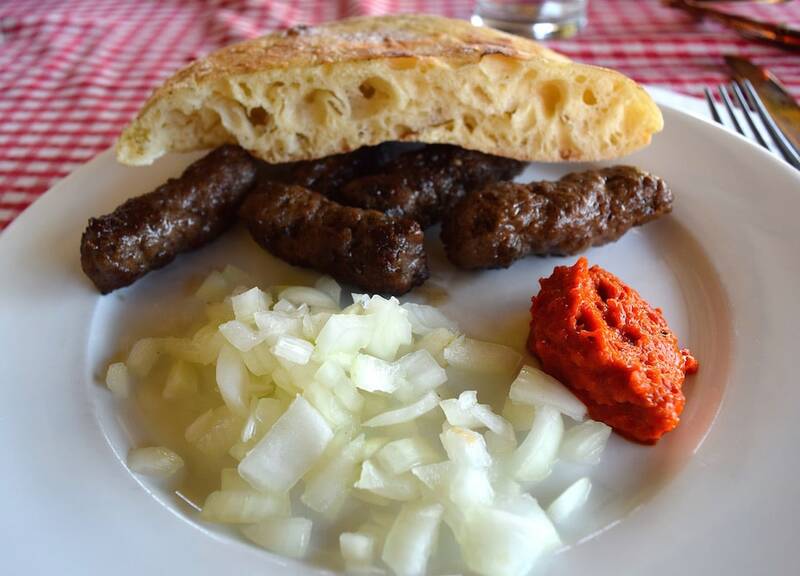 At lunchtime I sampled cevapcici – a traditional Bosnian dish of grilled meat kebabs with bread and raw onions, at Restoran Labirint, overlooking the river. Plenty of places accepted Croatian Kuna and Euros, so there was no need to exchange any currency to Bosnian Marks. 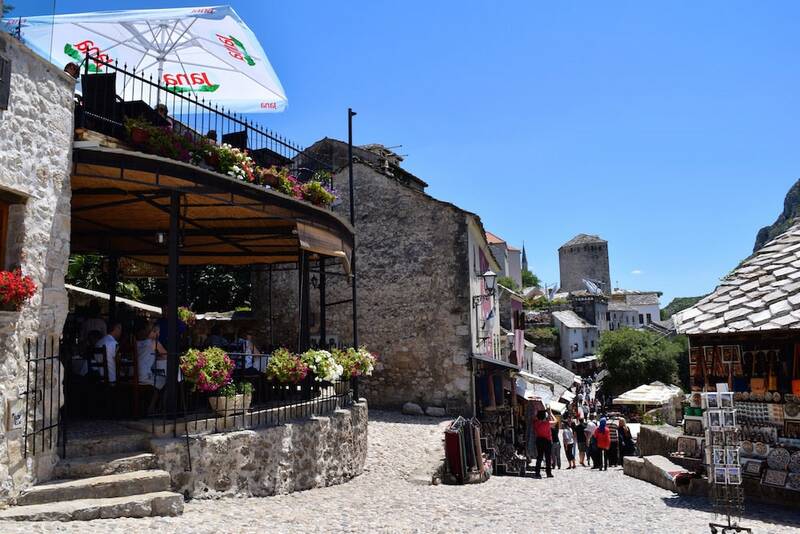 Th eDubrovnik to Mostar day trip was informative, but also personal – Adisa explained how the wars had affected her and her family, and how her beautiful city was recovering from the tragic events of the 90s. 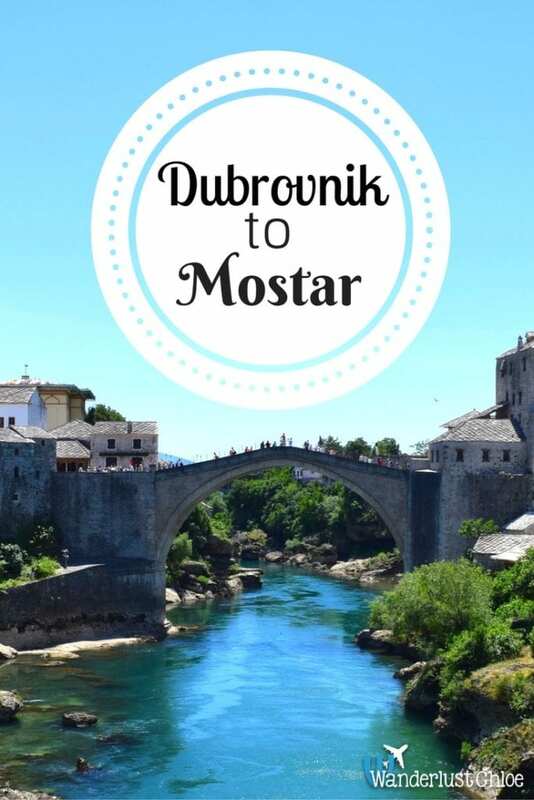 The Dubrovnik to Mostar day trip is a very special one. Yes, you’ll get some incredible photos, but more than that, you’ll come away with stories of real people, and a city that is working hard to rebuild itself. Tickets for the Dubrovnik to Mostar day trip cost £39.90. 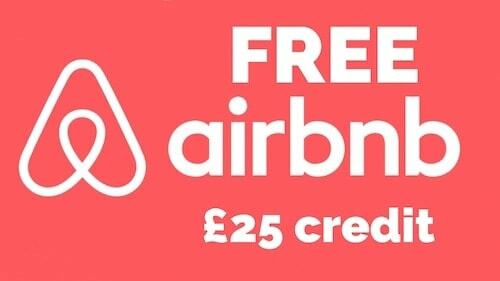 Find out more, and book here. Inspired? Check out this awesome Bosnia Road trip video.